Stylish leashes, pet-integrated furniture, and doggy rain coats may be among the hottest pet products of 2017, according to a new study by Rover. This year’s top trends in pet products may be influenced by a few key trends in pet ownership, including Millennials’ penchant for natural products and the desire of many pet parents to integrate their pets into every aspect of their lives. To come up with its predictions for the top pet trends of 2017, the experts at Rover, an online network for pet sitters and dog walkers, collected data from hundreds of thousands of pet parents. Here are a few trends the company predicts will be big among pet parents in 2017. 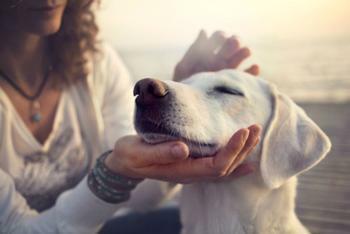 Pets are often treated as furry members of the family, and the mindset of many consumers seems to be that family members should get natural, healthy products. The experts at Rover say this year’s biggest trends for dog food, toys, and grooming products can be found in the wellness aisle. Pet parents are likely to continue gravitating toward labels for non-GMO, organic, and fresh ingredients. Trending items include cannabis-infused treats, coconut oil, probiotic supplements, and whole grains. The trend toward all-natural, sustainably-made pet food is nothing new, but Millennial pet owners seem to be seeing to it that the trend sticks around. One in three U.S. pet owners are Millennials according to a recent survey by Packaged Facts, and most Millennials were raised in an increasingly health-conscious U.S. As Millennials get older and their budgets increase, spending on natural, organic pet products is expected to grow. From Wi-Fi pet cameras and treat dispensers to smart crates, pet owners are harnessing the power of technology to make life better for their pets and more convenient for them. This year’s hottest trends in pet technology include GPS-enabled activity trackers (such as those by Whistle and Fitbark), the Dog Parker smart crate, and dog based social media apps such as BarkHappy. Smart technology is also being tapped to help make life easier for pet owners, who can now digitally order food, walks, and playmates for their furry friends. Additional findings from the study suggested that pet parents will go to great lengths to treat their pets like members of the family. Top pet lifestyle trends this year include co-parenting, organized dog sports, human-inspired dog names, taking your dog to work, and DNA testing. How often should you clean your pet’s belongings?